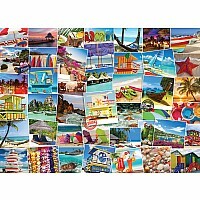 EuroGraphics Beaches Globetrotter 1000-Piece Puzzle. Box size: 10" x 14" x 2.37". Finished Size: 19.25" x 26.5". It's a small world after all. Bring your beach towel to the best beaches in the world in one puzzle, over 40 destinations to view. 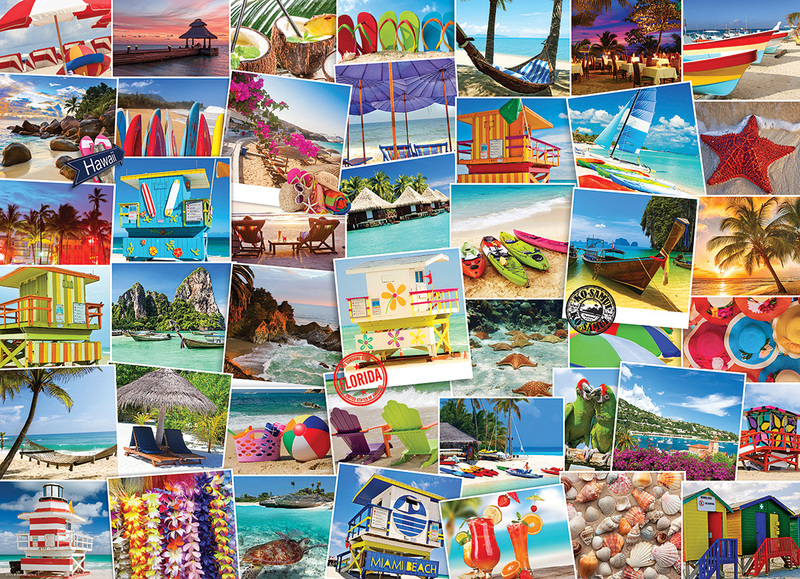 This 1000 piece puzzle is sure to give you the travel bug as you will want to book your flight today!